What Is the Best Time to Take CLA? Apricot seeds are extracted from the hard pit of the fruit. These seeds or kernels have been in the limelight for many years thanks to their medicinal purposes. Known scientifically as Prunus armeniaca, apricots are said to have originated from various parts of Asia, the Himalayas, Northern China and Armenia, as well. Apricot seeds have been identified for their special medicinal properties. A good example is in Chinese medicine where they have been used to treat conditions such as arthritis, indigestion, high blood pressure and respiratory conditions. The medicinal value of apricot kernels seems to have been identified over a century ago, as it was used as a remedy for cancer as early as 1845 in Russia. In the US, the seeds have also been used in treatment for cancer since the 1920s. Scientists tell us that these seeds are rich in various nutrients and these include phosphorus, potassium, iron and vitamin B17 as well. That said; there has been raging debate on the effectiveness of these seeds and issues have been raised on their toxicity levels. Today, we shall be having an all round look at the pros and cons of apricot kernels as we try and demystify this wonder medicine. When it comes to the cancer fighting properties of apricot seeds, the Hunza people from the Himalayas are living proof. This region which is found in Western Pakistan boasts of very low cancer levels and the people generally enjoy higher life spans. The Hunza are apricot farmers and it is believed that they consume between 30 and 50 seeds every day. This means that their consumption of vitamin B17 is 200 times more than that of an average westerner. Vitamin B17 is a brilliant compound that works to ward off malignant tumors in conjunction with the immune system. Consuming these bitter seeds on a daily basis can therefore help in the prevention and treatment of cancers. A study conducted in 2002 at the Kyung Hee University in Korea found that amygdalin could also help kill prostate cancer cells. A similar study conducted on rats also linked the compound with pain relief. Amygdalin is found in apricots and is a naturally occurring glycoside chemical. The highest concentration of amygdalin is found in apricot seeds. Laetrile is a chemical modification of amygdalin. Laetrile has been promoted as an alternative treatment for cancer. However, the treatment has also faced its fair share of controversy. Its major advocate actor Steven McQueen died after undergoing treatment incorporated with the chemical in 1980. To date, Laetrile is not approved as an alternative treatment in the US. 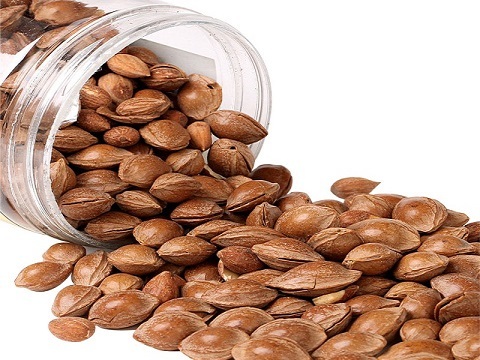 There is evidence linking apricot seeds to small volumes of cyanide. The Food Standards Agency in Britain issued a health alert in 2006 which warned that the consumption of 20 to 30 apricot seeds over a short duration could have dire consequences. These include cyanide poisoning and even death. Although the cases of cyanide toxicity have been rare, it is believed that when consumed in large portions, cyanide may bring about side effects such as headaches, fever, nausea and induce a coma as well. Australian nutritionists have claimed that vitamin B17 is in fact not a real vitamin. In addition to claim, no evidence has linked apricot seeds to any medicinal benefits. It’s is also important to note that while several clinical studies have been conducted in the US, no evidence has been found to link apricot seeds to the prevention of cancer. There are conflicting reports and recommendations on the number of apricot seeds you should eat in a day. Although the Hunza are believed to eat between 20 and 50 apricot seeds a day, there are nutritionists who believe that that it too much and perhaps toxic. Instead, they recommend that you consume not more than five apricot seeds a day. On the flip side, other nutritionists recommend a higher number if you wish to benefit from their cancerous fighting properties. Their recommended intake is 35 apricot seeds a day. No guidelines on consumption have been suggested by Nutrition Australia. They actually suggest that persons interested in these seeds and their medicinal value seek advice from dieticians before they can begin consuming them. Apricot seeds come in two types, there are bitter and sweet apricot seeds. Sweet apricot seeds are great for snacking but are not as famous as their bitter counterparts. This is because they have lower levels of the cancer fighting compound, amygdalin. On the other hand, bitter apricot seeds have various therapeutic properties as we have mentioned before. To use bitter apricot seeds, it’s recommended that you first soak them in water. This helps in reducing their bitter taste and makes them more tolerable to eat. However, the practice of soaking bitter apricot seeds in water also lowers the levels of amygdalin. You can purchase these bitter kernels in stores that sell organic foods. In America, Australia and Asia, bitter kernels are sold as a dietary product and you can find them in supermarkets as well as online stores. The seeds are sold whole where they are simply pre-dried and you can also buy processed bitter apricot seeds. There are various ways in which apricot seeds can be prepared for consumption. The first is eating them raw. These seeds can also be cooked and there are people who grind them into powder form before adding them into cereals, vegetables, soups, curries and fruit juice as well. When ground or roasted, apricot seeds produce oil and this oil has multiple uses. The oil is used in salad dressings, as a fuel and facial lotion as well. The oil is also considered a mild mineral oil and you will not only find it being used in skin products but massage lotion and baby oil products as well. Apricot seeds are also used as an ingredient in liquor, Italian amaretto cookies and apricot jams. In recipes, they are used to provide a marzipan flavor.